What is better on Valentines day that treating yourself to a few sale items from your favourite store?! Nothing you say?! Well that is correct! And to make your day even better we are letting you in on a little secret! We have just added lots of new items to our sale section! 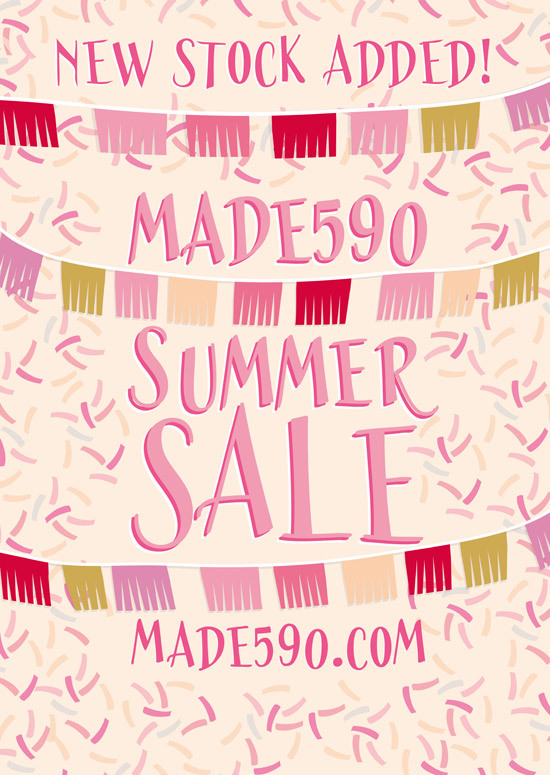 We think it is the perfect time to head over and take a peek, and treat yourself to some amazing Made590 clothes at super special prices! Head to our sale section now, before they are gone for good! We are Full to the Brim of Amazing Things! Previous Previous post: We're Hiring! Next Next post: Knock Knock, Who's There? Only Midge!